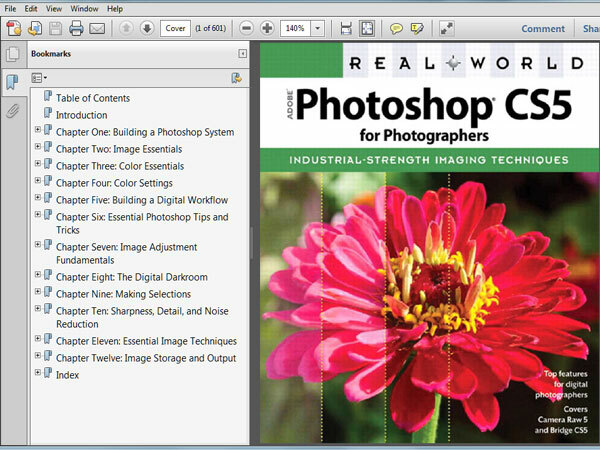 Software expertise: PDF ebook 600 pages, Publisher: Peachpit Press; 1 edition (September 25, 2010) Language: English, Streamlined to focus on features of Photoshop CS5 and Photoshop CS5 Extended that are most relevant to intermediate and advanced digital photographers. Real World Adobe Photoshop CS5 for Photographers. The perfect guide for intermediate to advanced photographers to set up an effective workflow and master the features of Photoshop CS5. Coverage of new CS5 features includes: Refining Edges, Eyedropper tools, Merge to HDR, Content Aware Fill-Scale-Heal, and Lens Profile.